There are many museums to see including an art gallery, and the Citadel which is home to the Temple of Hercules, and the Roman Theater. Pella is the site of ancient ruins in the North of Jordan. The archaeologists are still excavating today. The site is home to one of Christianities earliest churches. Jerash with its fertile lands allow the growing of a variety of crops. 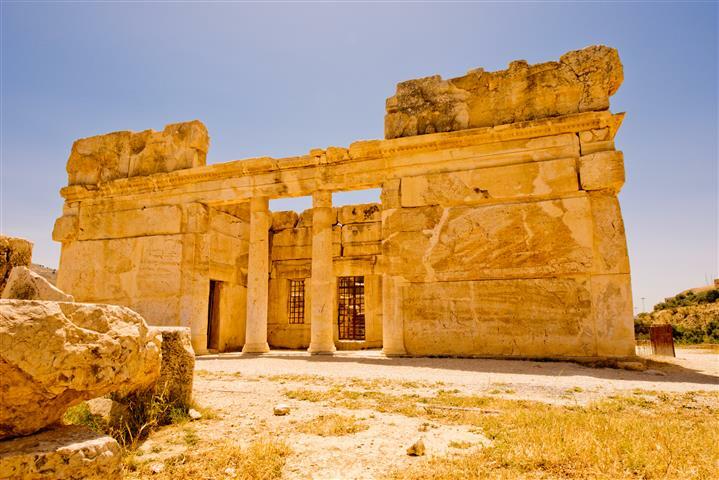 It is also the site of the ruins of the Greco- Roman city of Gerasa. 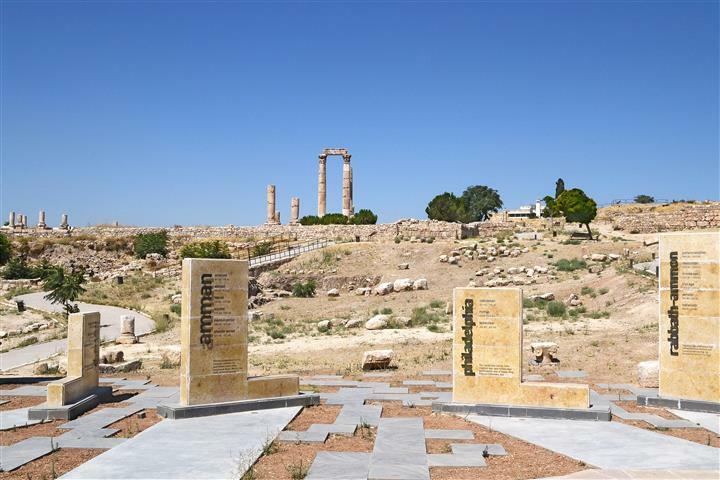 Excavations show that Jerash was inhabited in the Bronze Age 3200 B.C.- 1200 B.C. Ajloun is a hilly town in Norther Jordan It is famous for its amazing ruins. On the site of an old monastery you can find the Ajloun Castle. The castle used to control traffic from the road connecting Damascus and Egypt. 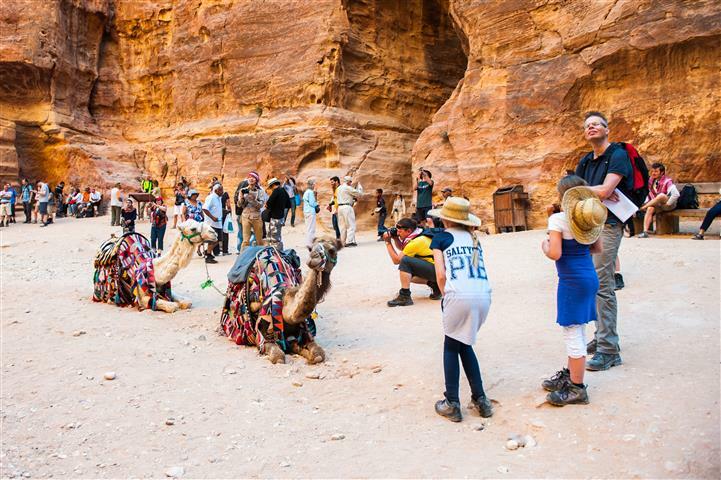 Walking into Petra you will quickly realize why this ancient city is one of the world wonders. The Victorian traveler and poet Dean Burgon gave Petra a description which holds to this day "Match me such a marvel save in Eastern clime, a rose-red city half as old as time." Yet words can hardly do justice to the magnificence that is Petra. 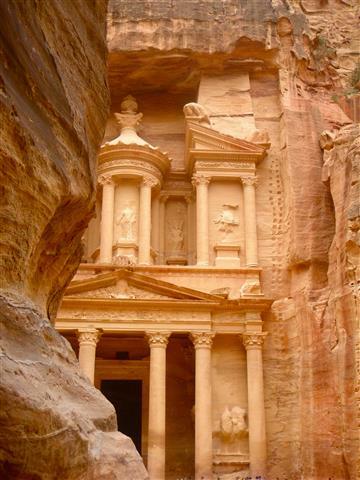 The most famous Petra's monument – the Treasury – is the completion of the Siq. In addition, hundreds of building, facades, crypts, baths, mourning halls, temples, and, of course, the Roman theater of three thousand seats built in the 1st century B.C., are of great interest. 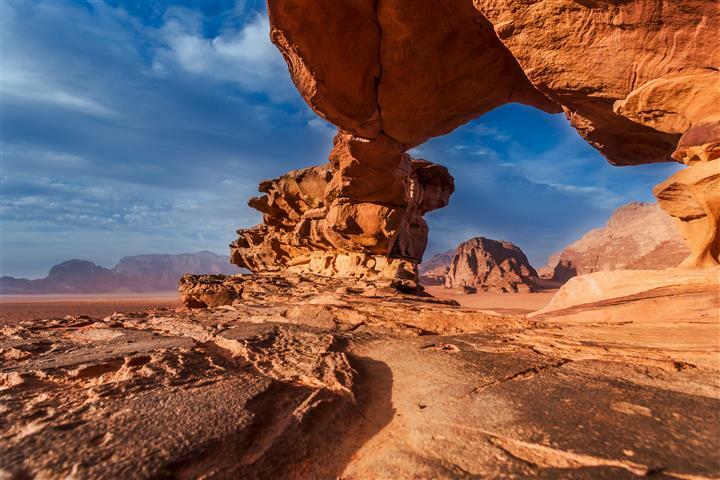 Wadi Rum is a valley cut into the sandstone and granite rock in south-west Jordan. It has been inhabited by many human cultures since prehistoric times and is dotted with massive rock formations. It is virtually untouched by humanity and its destructive forces. Here, it is the weather and winds that have carved the imposing, towering skyscrapers, so elegantly described by T.E. Lawrence as “vast, echoing and god-like”. 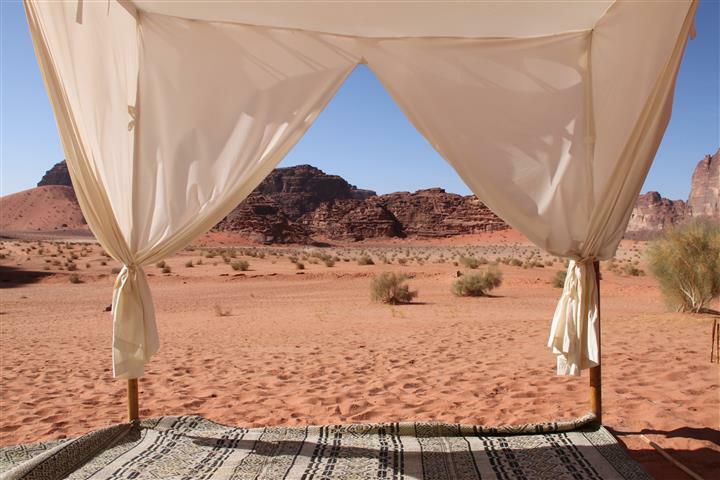 Much of David Leans' Lawrence of Arabia was filmed in Wadi Rum. You will be met at the airport and assisted by a member of our staff at Queen Alia International Airport. 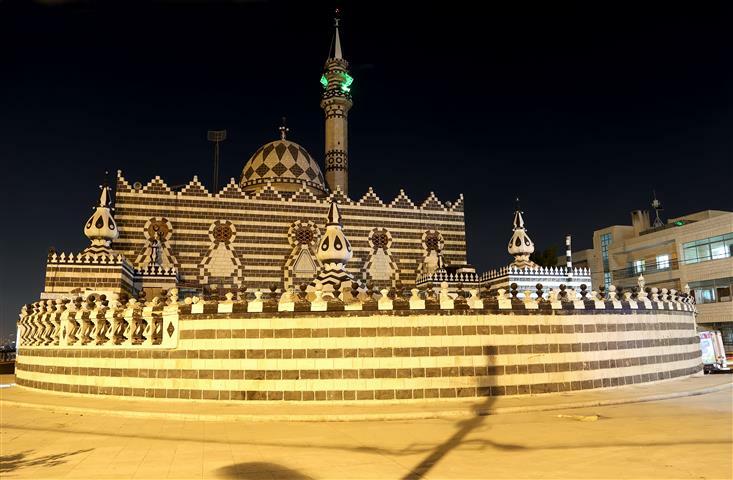 You will then be transferred to your hotel in Amman. You are advised to get a good nights sleep. Breakfast. 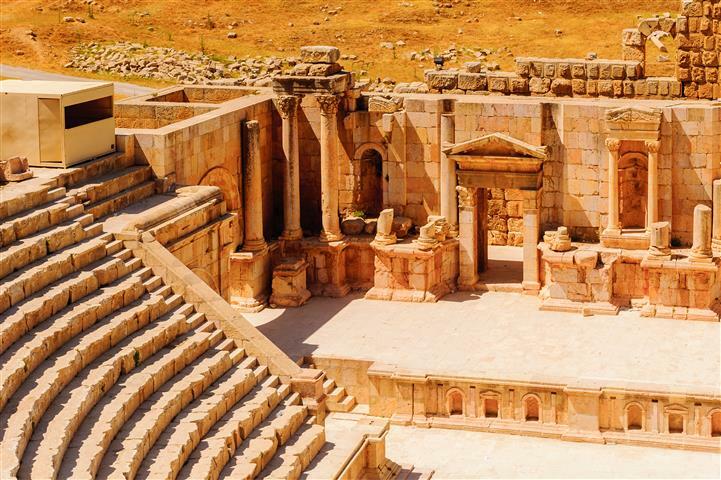 Visit the ruins of Amman’s Roman Theatre, the Citadel, the Umayad Palace and the Archaeological and Folklore museums. 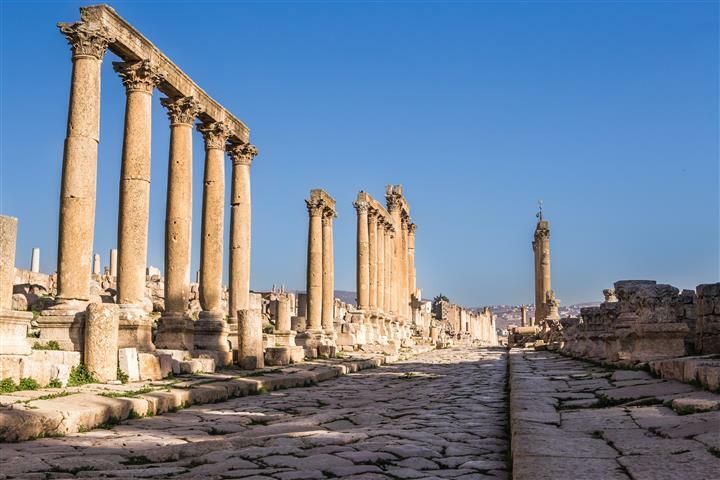 We will take a short bus trip north to visit to the Greco-Roman city of Jerash. Then we drive down to the lowest point on earth for a swim in the Dead Sea. Overnight at a hotel in the Dead Sea. Breakfast. A whole day to explore the King's highway, which was once part of the ancient Silk Road. Visit the mosaic town of Madaba, and stop at the endearing Monastery of Mount Nebo for a visit and a view over the Jordan Valley. Continue south to Wadi Mujib then proceed to the Crusader's Castle of Kerak. We will then arrive in Petra for a stay overnight at the hotel. Breakfast. 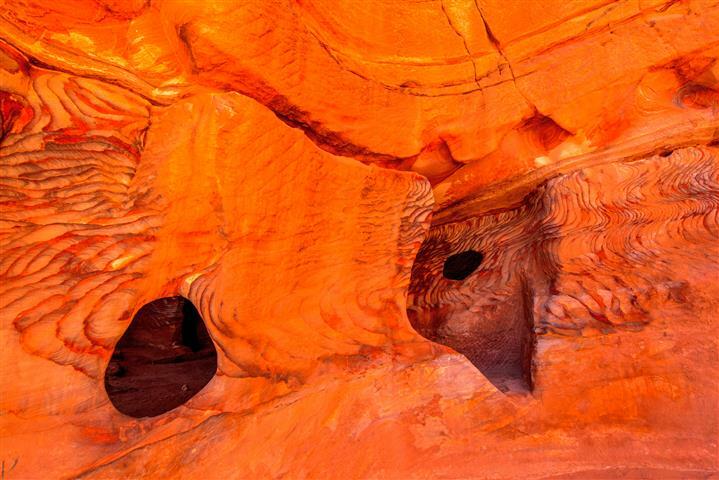 Enter the first part of the impressive, infamous fissure known as the Siq and bear witness to the sophistication of the Nabateans. The tour then proceeds to gradually unfold the mysteries of the Rose-Red City with its spectacular treasures, Royal Tombs, burial chambers and high places of sacrifice. We then return to the hotel for a stay overnight. Breakfast. Second entry to Petra to continue exploring the upper areas of the city. Overnight at the hotel. Breakfast. 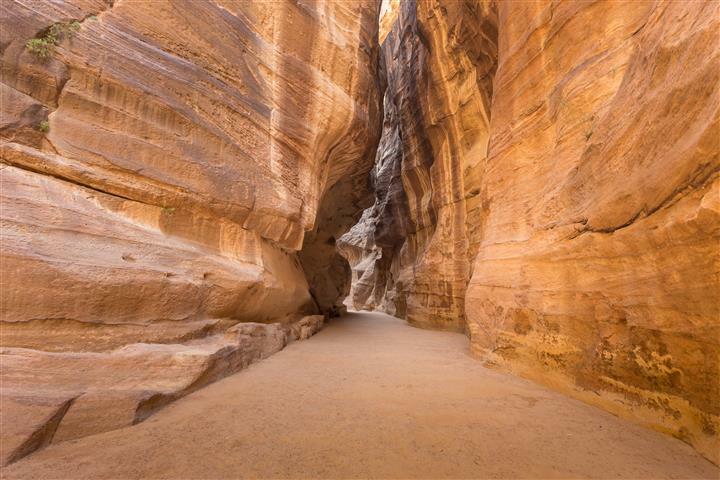 Proceed to Beida, also known as Little Petra, and the place where the Nabateans used to entertain their guests. 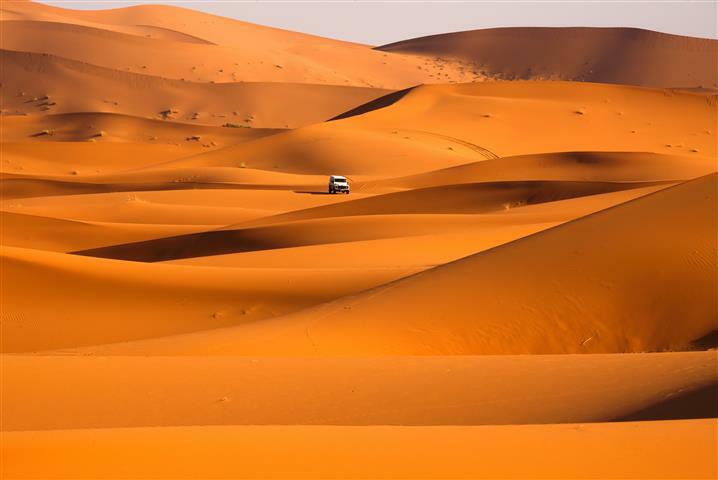 We continue south to the enchanting desert of Wadi Rum for a jeep tour inside the Wadi. Watch a beautiful sunset over a cup of tea and continue to the Bedouin camp area deep inside the desert, where a large Bedouin tent will be set up to serve as a sitting room and smaller high quality Canadian sleeping tents will be prepared with comfortable mattresses, sheets and blankets. Dinner and overnight at camp. Breakfast. Morning departure back to Amman. Check in at your hotel. 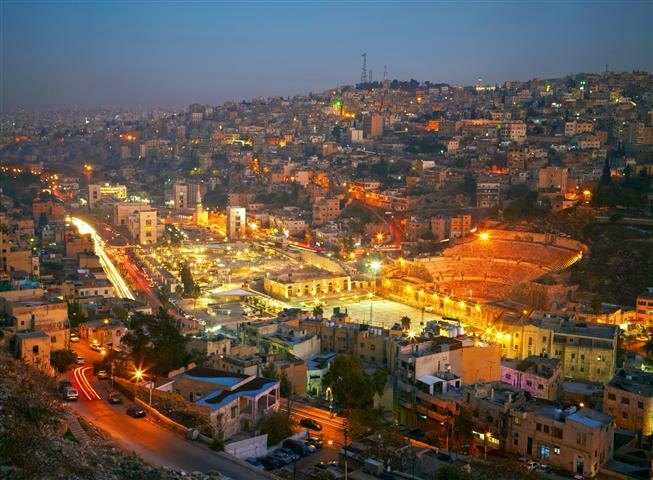 Free afternoon for leisure or shopping in Amman. Overnight at the hotel. Meeting and assistance from the airport to your hotel, and at the end of the journey back to the airport. Tour guide, entrance fees, hotel accommodation on B/B basis (3 star hotel). We recommend that you have cash money available.